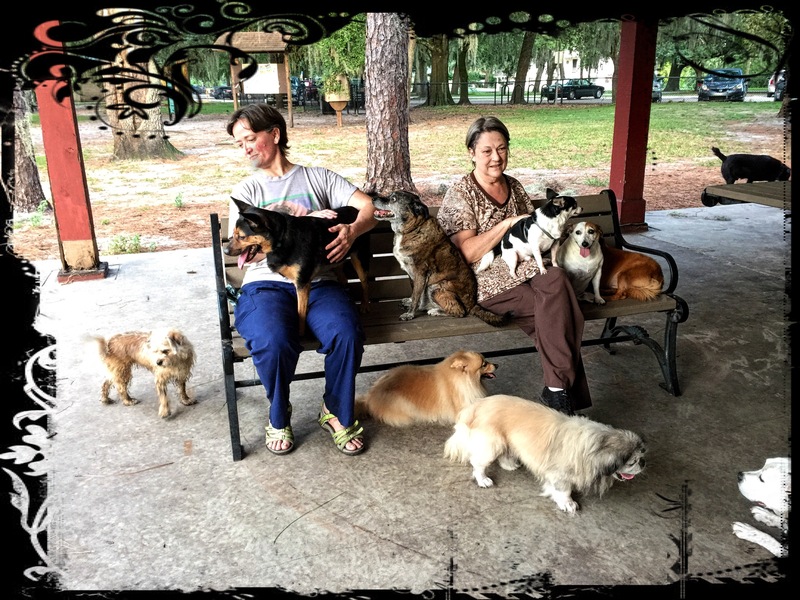 clockwise from left to right: Lola, me, Anna (on lap), Duke, Roberta, Chico (on lap), Rosita, Titus, Puppa (in bottom right corner), Milo, Sammy (underneath the bench). And the black half a tail in the upper right corner is Capone. This is my morning, most days. We walk, we sit, we walk, we sit. I sit more often for Anna’s sake. She gets tired faster with only one front leg.